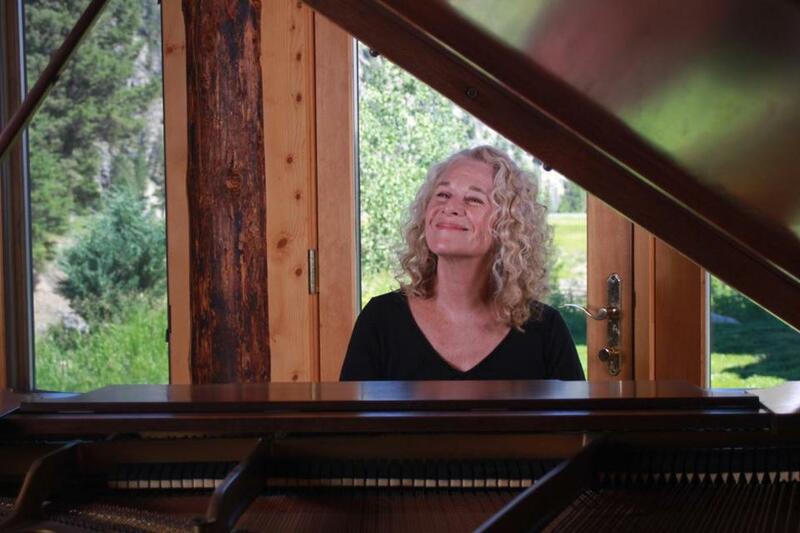 If Carole King never sang a note intended for public consumption, she’d still be a legend on par with her Brill Building compatriots Ellie Greenwich and Barry Mann. And although she eventually proved herself a formidable lyricist, she rose to prominence not as a wordsmith (a task left to her writing partner and then-husband Gerry Goffin) but as a tunesmith. That’s a role that’s so often underrated, given the way that indelible melody and harmony come across as nothing less than magic. And so, as “Beautiful: The Carole King Musical” returns to the Opera House next week, here are definitive performances of 10 songs, covering the time period portrayed in the show, that showcase King at her most magical. The eternal question. Teenagers when they recorded it, the Shirelles can’t be sure if they’re thinking straight in the emotional and hormonal chaos of young love or if the choice they’re making at the moment is going to reveal itself as an impulsive mistake in the calm of morning. The fact that the decision has already been made (something that’s easy to overlook) makes it all the more heartbreaking. Two sides of the same coin, each vocal group drawing the sheer musicality of King’s melodies to the fore and letting them drown in their own gorgeousness. Rudy Lewis leads the Drifters in a lush pop symphony, while Don and Phil Everly’s genetic harmony links King (working here not with Goffin but with Howard Greenfield) to the bluegrass tradition. Goffin’s lyrics are economical and witty but ultimately, as is often true of dance-craze singles, insubstantial. That puts the song’s engine in King’s hands, and it’s unstoppable, making its case on sheer sound and melody. Granted a million bonus points for later bestowing Kylie Minogue upon the world. Morally reprehensible — the title means exactly what it appears to mean — but then, it’s supposed to be morally reprehensible. Delving into the psyche of abusive relationships, it sugarcoats nothing, from Goffin’s matter-of-fact justification of received violence (recited straightforwardly by Barbara Alston) to King’s dark, meandering melody. Still harrowing and unfortunately still relevant. As heady an endorphin rush as has ever graced the pop charts. The chiming piano is King herself, left from the original demo after everything else had been wiped, like a Cheshire Cat smile. Goffin/King’s forte was capturing teen romance in all its glory, terror, and wonder, but they proved that they could also pull off incisive social commentary with their hit for the Monkees. Naturally, they weren’t ones to rage or sneer, opting instead for an overly grinning enthusiasm for suburban conformity and consumerism twisted even more by the fact that it was delivered with a garage-rock charge by Beatles clones assembled by a television production company. The greatest distillation of the Jewish New Yorker’s gospel influence, which made itself known in “Way Over Yonder” and others. King lost her mind with joy upon seeing Franklin’s performance at the 2015 Kennedy Center Honors, five decades after cementing it in the popular consciousness. Franklin may as well have been singing it to King herself. Pop music was maturing by leaps and bounds in the mid-1960s, and Goffin/King followed suit with a song of nostalgia that nonetheless acknowledged that the innocence being recalled was irrefutably lost. Dusty Springfield’s original hewed more to the Brill Building’s orchestral pop, but the Byrds turned it into psychedelic country that rippled out into the cosmos. After a decade of providing the musical backdrop to teenagers figuring themselves out, it wasn’t until King turned her eye on adult matters that she blossomed into an artist in her own right. Working with lyricist Toni Stern — curiously for a musician with such a personal, explicitly female perspective, the only woman among her major writing partners — she came up with this clear-eyed, and warm-hearted, postmortem on a relationship that had ended for no greater or lesser reason than it was simply over. By the time of “Tapestry,” Joni Mitchell was the Platonic ideal of the poetess songbird, but King was the everywoman, and countless listeners heard themselves in her plainspoken voice. The eternal question. Where the Shirelles aren’t sure whether they can put their faith in the man (the boy, really), King is uncertain whether she can put her faith in the concept itself. The words may come from the pen of her ex-husband, but it was 100 percent King the composer’s choice to slow down and recontextualize the music, completely altering the song’s meaning in the process. She’s basically asking whether love itself is sustainable in the long term. And it’s not clear that she’ll get the answer she wants.